The Obama Administration has taken another step in what amounts to a four-year plan to make abortion-covering health insurance, subsidized by the federal government, commonly available in the United States. The latest action came on March 12, when the Department of Health and Human Services (HHS) released a lengthy regulation that spells out how some of the components of the massive 2010 Obama health care law (“ObamaCare”) will be implemented. The new rule — consuming 644 pages, including HHS’s commentary — is concerned mainly with the “exchanges,” which are the government-operated health insurance markets that must be established in every state by January 1, 2014. While states may retain responsibility for administering the exchanges, they must do so according to the detailed blueprints provided in the federal law and in federal regulations, including the new rule. One part of the ObamaCare law establishes a big new program to provide federal subsidies for tens of millions of American families whose household income is 400 percent or less of the federal poverty level ($92,000 for a family of four). (Only health plans that join the exchanges will be eligible to sign up federally subsidized clients, which provides a strong incentive for health plans to enlist in the exchanges.) These federal subsidies can be used to purchase health plans that cover all abortions. This is one of the abortion-expanding aspects of ObamaCare that caused NRLC to strongly oppose the legislation when it was under consideration in Congress in 2009 and 2010. During the 2009-2010 congressional debate, President Obama repeatedly told the American people that he was not seeking federal funding of abortion in his healthcare legislation. For example, in a speech to a joint session of Congress on September 9, 2009, the president claimed that “under our plan, no federal dollars will be used to fund abortion.” NRLC repeatedly pointed out that such claims were flatly inconsistent with the actual legislative proposals that Obama was pushing — indeed, the president played a key role in removing House-approved language (the Stupak-Pitts Amendment) that would have prevented subsidies for elective abortions under any component of the book-thick health-care legislation. Cecile Richards, the president of the Planned Parenthood Federation of America (PPFA), the nation’s largest abortion provider, also dismissed the executive order as “a symbolic gesture” (USA Today, March 25, 2010), as she welcomed enactment of the ObamaCare law. During 2011, the Obama White House issued formal veto threats on two bills (the Protect Life Act and the No Taxpayer Funding for Abortion Act), both approved by the House of Representatives, that would restore effective barriers to federal subsidies for abortion. The new rule spells out some, but by no means all, of the details on how abortion coverage will be paid for in the developing exchange system. Under the rule, a health plan that covers all abortions may participate in an exchange unless a state enacts a law that explicitly prohibits such coverage (known as an “opt out” law). If a health plan covers abortion, the rule forbids the plan from calling attention to that fact in any of its advertising or explanatory materials. The disclosure of abortion coverage can be provided “only as part of the summary of benefits and coverage explanation, at the time of enrollment.” This provision seems designed for no other purpose than to ensure that many people who would not deliberately sign up for abortion-covering plans will do so inadvertently, because of the federally enforced gag rule. Once a person is enrolled in an abortion-covering plan, he or she will be required to pay a defined monthly charge for the abortion coverage, dubbed the “abortion surcharge” by critics. This abortion surcharge is not optional — every enrollee in the plan must pay it, including families that have moral objections to abortion and/or that contain no females of reproductive age. Some media stories have reported that the “abortion surcharge” will be $1 per month, but in fact, the law and rule say something quite different — they say that the surcharge must not be “less than one dollar per enrollee, per month.” The surcharge could be a good deal more than $1, depending on how many abortions are paid for and how much they cost. Neither the law nor the rule contain any limitations on reasons for which abortions are sought or how late in pregnancy they occur. HHS has so far avoided spelling out in any detail how the abortion surcharge payments will be made. From the pro-life perspective, the exact method of collecting the payments is not very important. The most important fact is that the federal government will be helping tens of millions of Americans purchase exchange-participating health plans, many of which will cover abortion on demand. When the government pays for health insurance, it pays for what the insurance pays for. The abortion surcharge is merely a bookkeeping device that is intended to obscure the reality that the federal government will be purchasing abortion-on-demand insurance — which is a sharp departure from decades of previous federal policy under the Hyde Amendment, the Federal Employees Health Benefits program, and other federal programs. The ObamaCare law specifies, and the rule repeats, that a state may enact an “opt out” law that prohibits coverage of abortion in the health plans that participate in the exchange in that state. So far, 15 states have enacted variations on such laws, and other state legislatures are considering such legislation. However, while enactment of state “opt out” laws is important, they do not reach the heart of the problem. A state legislature may forbid coverage of abortion in the exchange-participating health plans in that state –but under ObamaCare, the taxpayers who live in that state may not “opt out” of subsidizing the abortion coverage for other Americans, perhaps numbering tens of millions, who live in other states that do not enact opt-out laws. Moreover, the ObamaCare law provides additional mechanisms by which the Obama Administration will be able to expand abortion-covering insurance in the future, step by step. For example, the ObamaCare law provides that a different federal agency, the Office of Personnel Management (OPM), will offer so-called “multi-state” health plans. Eventually, each “multi-state plan” will be offered throughout the country. The law provides that one such federal plan will have limitations on abortion coverage, at least initially, but it leaves the door open to one or more additional federal plans covering abortion on demand. In the new rule, HHS does not reveal how the OPM-administered “multi-state” plans will handle abortion coverage. 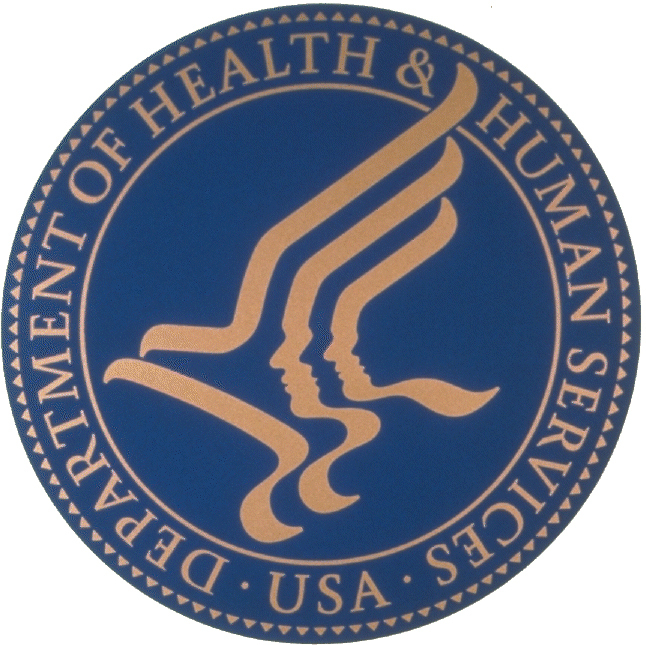 The HHS commentary merely says that such issues “will be described in future rulemaking published by OPM.” Presumably, the Obama Administration prefers to reveal the answers to such questions after the November presidential election. The HHS rule released on March 12 is entirely separate and distinct from the controversy that has erupted around another component of ObamaCare, which is a provision allowing HHS to mandate that virtually all health plans cover, without copayments, any medical service that the Secretary of HHS places on a list of “preventive services.” Earlier this year, the Administration ignited a national controversy by placing all FDA-approved contraceptive methods and sterilization on the mandatory preventive services list. NRLC has warned that if President Obama is re-elected, his administration could expand the “preventive services” list to include all abortions. The effect of such a mandate would be that health plans in general — whether federally subsidized or not — would be required to cover abortion on demand without copayments. However, enactment of a properly drafted “opt out” law should shield the exchange-participating plans in a given state from any such mandate. While some of the details of the Obama Administration’s abortion-expanding campaign remain to be revealed, the new rule is only the latest evidence that pro-life objections to ObamaCare were well founded, and that only repeal and replacement of the ObamaCare law will prevent a vast, federally dictated expansion of abortion access in the United States. Additional documentation on the abortion-expanding components of ObamaCare can be found on the NRLC website at http://www.nrlc.org/AHC/index.html, including testimony presented by NRLC to a U.S. House subcommittee in February, 2011 (http://www.nrlc.org/AHC/ProtectLifeActDouglasJohnsonTestimony.pdf). Where is Bart Stupak when we need him? Oh,I remember now, he caved in. So did our bishops. So did so many others who had the power to stop this power grab. Who’s going to stop them now? We have two candidates who will stop this. We have a chance. Liberals are liberal first and everything else is second. First they are liberal, second they are a Catholic or an elected official, etc. Our opportunity to change things lies in the next Presidential election. God help us!